Information about Concrete Roof Tiles. 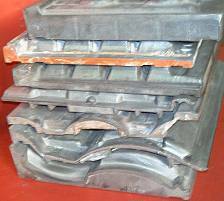 Concrete roof tiles made from die casting molds are very in demand these days. They have become a favorite by professional builders all over the world. What makes these professionals prefer this roofing material over the others in the market? You are about to find out. concrete roof tiles are attractive and pleasing. There are different designs to choose from. Not to mention the variety of colors it comes in. It meets the aesthetic demand of buildings at an affordable price. Yes. It is cheaper compared to other roofing materials like slates. What’s more impressive about concrete tiles is that despite its affordability, it still comes with other remarkable features. One of these is its durability. Concrete roof tiles are capable of enduring harsh weather conditions. It can survive strong tornadoes, heavy rain and snowstorms. It can even survive fire because they are noncombustible. Its life-span is also impressive. It can last for 50 years and more. Once you have decided on installing these tiles on your roof. You need to make sure that the structure of your house will be able to support the weight of concrete tiles. Concrete tiles are heavier than other roofing materials such as wood shingles. Better consult the home builder you can rely on. Roofs installed with concrete tiles are the way to go. All you need is good cement, water, quality river sand, and you’re in business. This entry was posted in Tile Molds and tagged American, California, casting, Concrete Roofing Tiles, die casting, die casting company roofing, Roofing Tiles, TileMolds on June 12, 2015 by admin. A Brief Look at Die Casting Parts. Die casting refers to the procedure when molten metal that is under high pressure is forced into mold cavities that are machined into dies. The die casting parts that are chiefly utilized to include non-ferrous metals like aluminium, lead, zinc, copper, tin based alloys and magnesium. But die casting parts can also include ferrous metal. Die casting parts and the processes concerned are best for enormous quantity of parts that may be tiny to medium sized, which necessitate the best detail, consistency of the dimensions and the quality of the surface. Because of these, die casting has been hailed in the industry of metalworking as one of the departments that has the uppermost volume when it comes to production. 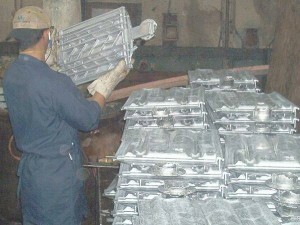 There are some companies that handle this kind of production which restore the known die casting parts for some things that are more sensible. This explains why there are some tools wherein injection-molded parts are utilized instead of die casting. These parts are lighter and these also less expensive. To help you get enlightened with the chief alloys that are used in die casting, here are some of them. 1. Zinc is known as the easiest alloy to be processed in dies casting. This is because this can be effortlessly plated and it has high ductility. This can last for a long time as well. 2. Magnesium is easy to be processed through the machine. This is the lightest in the bunch of alloys that are normally used in casting. 3. Aluminium is known for its lightness in terms of weight. It can also be reliable for its strength and stability even when used in intricate structures. This has elevated thermal properties and electrical conductivity. 4. Tin and lead are chiefly utilized for corrosion resistance. These are mutually high in terms of density. 5. Copper also has a high corrosion resistance. And amid all the alloys used in die casting, this has the uppermost mechanical properties. This entry was posted in die casting and tagged aluminium, aluminium die casting, Aluminum, aluminum die casting, aluminum parts, American, California, casting, die casting, die casting company on January 14, 2013 by admin. All about Concrete Roof Tiles. Concrete roof tiles are very in demand these days. They have become a favorite by professional builders all over the world. What makes these professionals prefer this roofing material over the others in the market? You are about to find out. First of, concrete roof tiles are attractive and pleasing. There are different designs to choose from. Not to mention the variety of colors it comes in. It meets the aesthetic demand of buildings at an affordable price. Yes. It is cheaper compared to other roofing materials like slates. What’s more impressive about concrete tiles is that despite its affordability, it still comes with other remarkable features. One of these is its durability. Concrete roof tiles are capable of enduring harsh weather conditions. It can survive strong tornadoes, heavy rain and snowstorms. It can even survive fire because they are noncombustible. Its life-span is also impressive. It can last for 50 years and more. We produce Aluminum Molds for Concrete Roof Tiles, for the concrete tile roofing industry. If your company needs an aluminum mold for concrete roofing tiles, please call 800-524-8083 or email us at sales@tile-molds.com. Stay tuned to our Concrete Roofing Tile Blog for details and updates. This entry was posted in die casting, Tile Molds and tagged Aluminum, aluminum die casting, aluminum parts, American, California, casting, Concrete Roofing Tiles, die casting, die casting company, Roof Tile, rooftiles, TileMolds on July 18, 2011 by admin.